Selected as Party of the Day on September 1st! 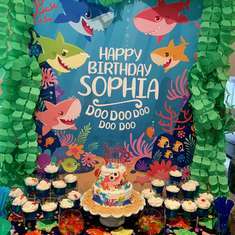 This paleontologist themed party was perfect for my little dino lover. There was an exacavation site set up with tools to dig with and everyone got to go home with the dinosaurs they found. We set up an "Herbivore Valley" area with veggies and fruit and cheese. A "Carnivore Cave" section with the wraps, Spinosaurus snacks, and dip. 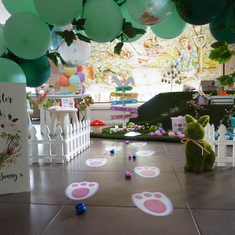 A Sweet's area with all the dino related candy, and a Watering Hole with all the drinks for the party. 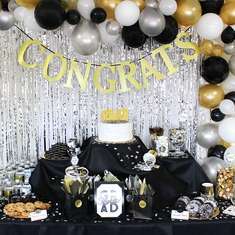 Swoonworthy parties and prints for life's biggest & littlest moments. 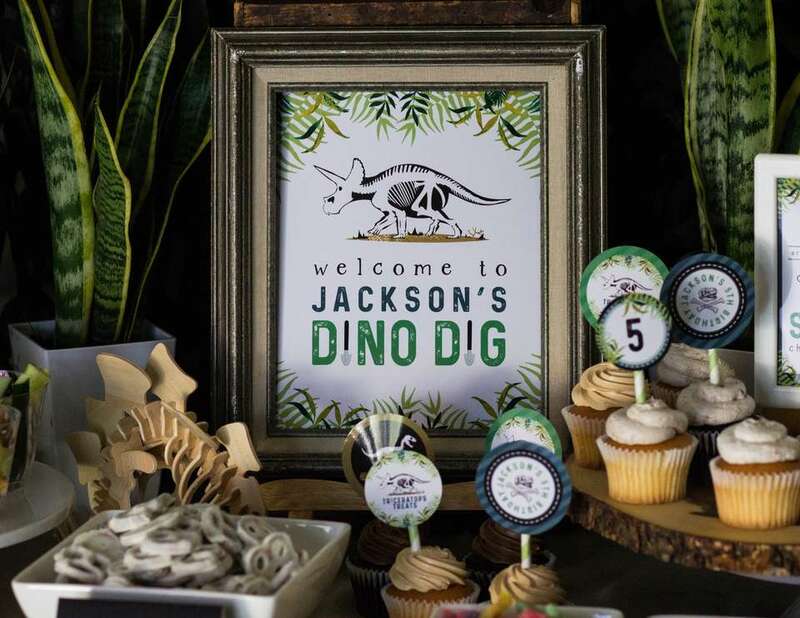 The party favors were a magnifying glass and paintbrush that the kids used to dig up little dinosaur favors from a makeshift sandbox. The sandbox kept them busy for a long time and was worth the mess afterwards. 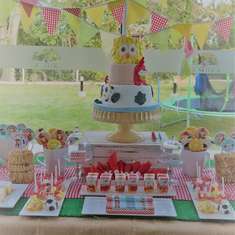 Melissa from MKKM created all of the printables which can be found on her blog, and set up the decor.